Mid-Tower cases are very popular among gamers because they offer good amount of storage space and are not too big either. In terms of size, a mid-tower case sits right between a mini-tower case and a full-tower case. 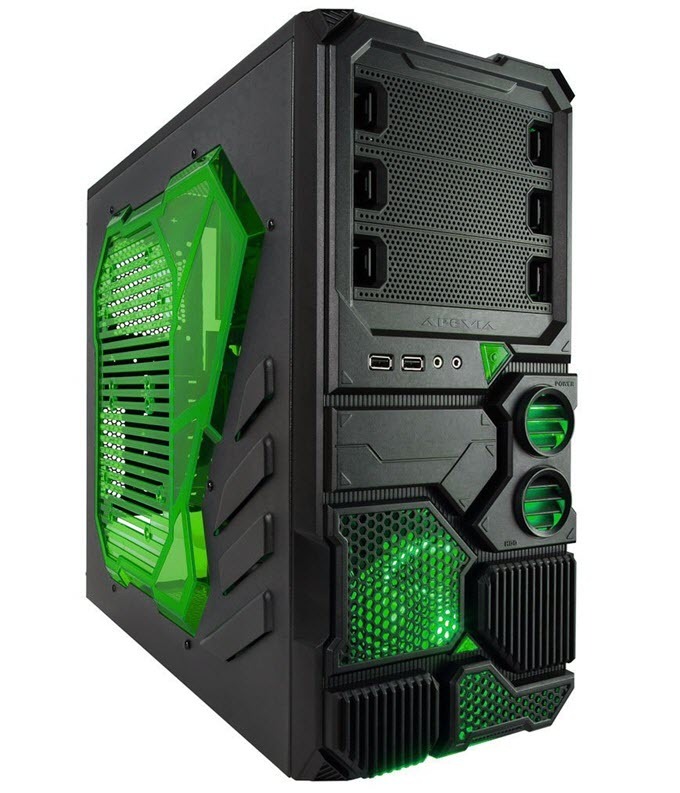 There are also Super-Tower cases that are even bigger than full-tower cases but they are not popular among normal users or gamers because they are very big in size and are used mostly for building workstation or a server. It has the benefits of both mini-tower and full-tower case and is an ideal choice for gamers and most of the desktop users. A mid-tower case can accommodate up to ATX sized motherboard, almost all aftermarket CPU coolers and some can even fit longest of graphics cards. 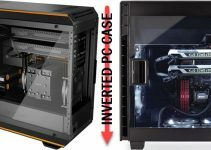 Well not all mid-tower cases are same and there can be variation in terms of space and compatibility with components. 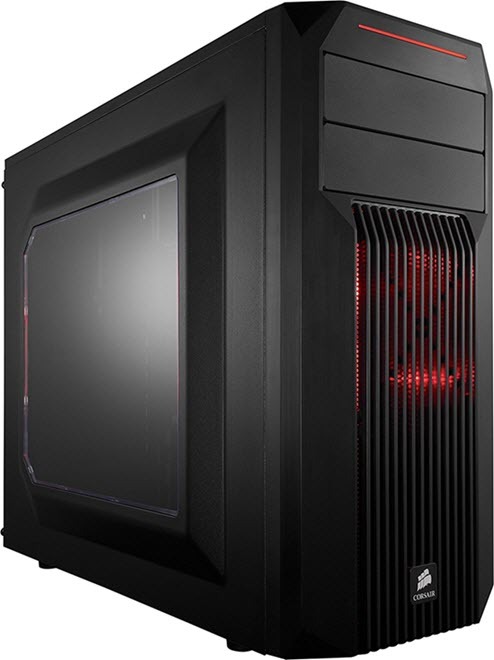 You can also find a good mid-tower case under 50 dollars which is perfect for budget or 500 dollar gaming PC. For more features you can go higher to up to 100 dollars for a top-end mid-tower gaming case for a building a high end gaming PC. So here in this post I am going to list down list down the best mid-tower gaming cases or cabinets for under 50 dollars and from 50 to 100 dollars. Here are the best budget mid-tower gaming cases under 50 dollars. These affordable mid-tower gaming cases are best for building a budget level or a decent mid-range gaming PC. 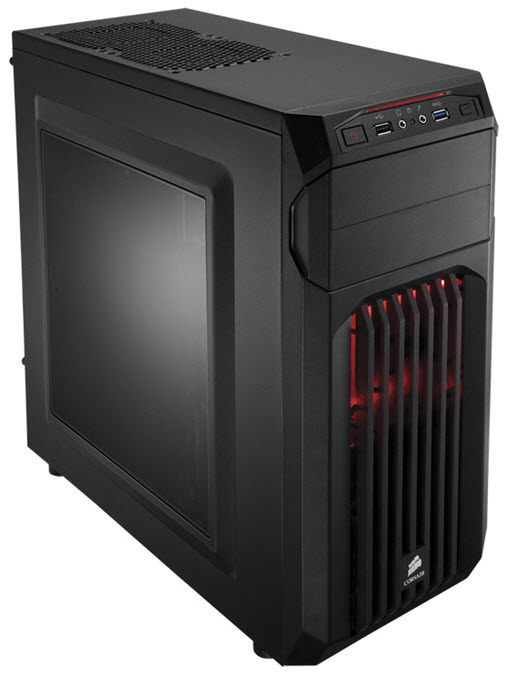 Corsair Carbide Series SPEC-01 is one the best high quality gaming mid-tower cases under 50 dollars budget. The construction quality of this mid-tower case is solid and it offers loads of space for your gaming components, and has good overall ventilation and airflow. The case comes with one 120mm Red LED fan on the front but you can also install two 120mm/140mm fans if your need more airflow. On the top it has space for two 12mm fans and on rear you can install a 120mm fan. This mid-tower gaming has a huge side panel window which gives a clear look at your components. The case lets you add up to 414mm high-end graphics card and CPU Cooler having maximum height of 150mm. Also it has ample space for your water cooling system having radiator. On the front you will find one USB 3.0 & USB 2.0 ports and audio ports. Other features of this mid-tower case include tool free drive installation, dust filters for front and PSU intake and cable routing. This is the perfect mid-tower case for anyone building a budget as well as a mid-range gaming PC. Highly Recommended by me. Deepcool TESSERACT SW is one of the cheapest mid-tower gaming cases under $50 that you can find in the market. 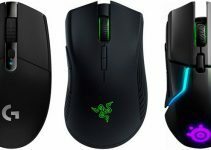 It has got decent build quality and comes with good amount of space for your components including graphics card. It also offers good ventilation and plenty of points for installing additional fans if you like to. It comes with one 120mm blue LED fan both at front and rear and additionally you can install two 120mm fans each on the top and side panels. This budget mid-tower case can accommodate 310mm long graphics card and CPU cooler up to 168mm in height. On the front you have one USB 3.0 & USB 2.0 ports and audio ports. The PSU in this case fits at the bottom that offers better space management and cooling performance. Other features of this cheap mid-tower gaming case include tool free drive installation, dust filters, radiator support and cable routing. Overall a decent mid-tower gaming case that offers great value for your money. Rosewill may not be a premium brand but it does offer some very good gaming computer cases. 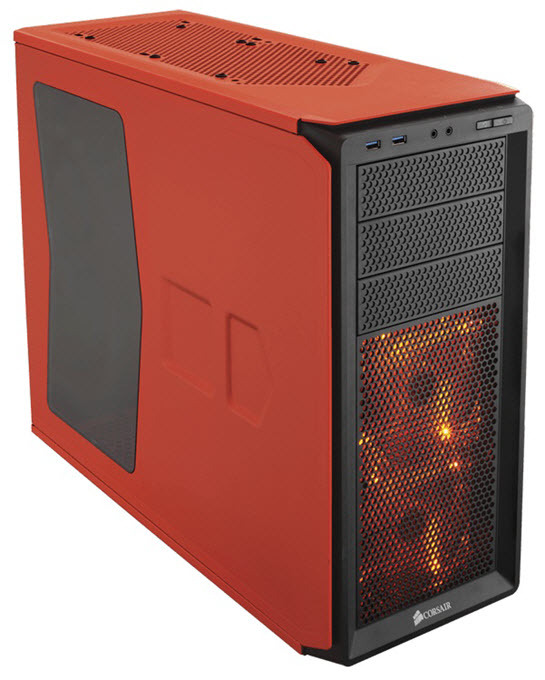 Here we have Rosewill CHALLENGER S which is a good looking mid-tower gaming case from Rosewill. The case has good construction quality and offers good airflow and has big capacity for all your components. 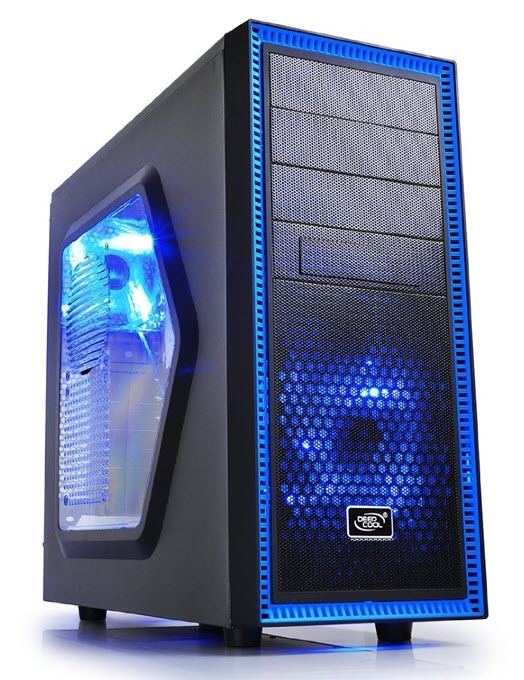 It comes installed with two 120mm Blue LED fans on the front and one 120mm fan on the rear. If you want more cooling then you can also install two 120mm/140mm fans on the side panel and two 120mm fans on the top. The case can support graphics cards up to 360mm in length and 120mm liquid cooling radiator on the front. It is equipped with dust filters both on top and bottom and has tools free drive installation. On the front panel you can find one USB 3.0 port, two USB 2.0 ports and audio ports. The case also has ample space for tallest and largest of CPU coolers and you can easily install Cooler Master Hyper Evo 212 CPU cooler and still have some room left. So if you are looking for a roomier and modern looking mid-tower case under 50 dollars then you should definitely get this one. Zalman is a big name in cooling solutions but it also makes very good gaming computer cases, power supplies and other computer accessories. 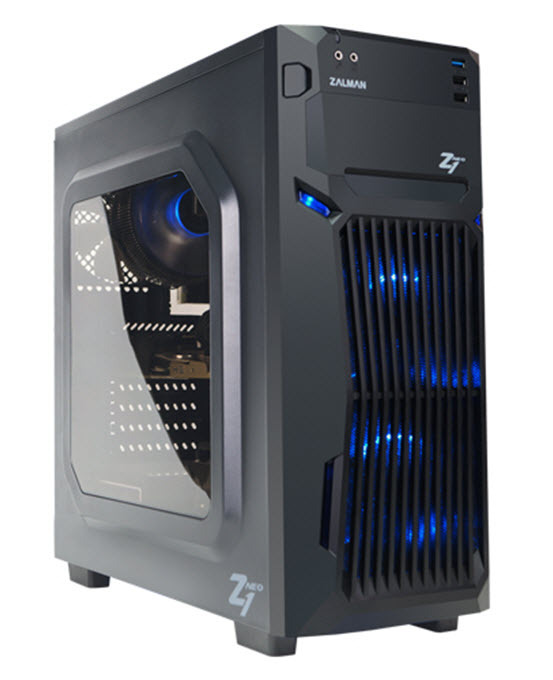 Here from Zalman we have ZALMAN Z1 NEO which is a modern looking and stylish gaming mid-tower case. 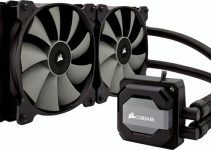 The case has good build quality and comes with two 120mm LED fans on the front and one 120mm fan at the rear for optimal cooling. This mid-tower case can accommodate a full sized high-end graphics card up to 375mm in length and tall CPU cooler with up to 160mm in height. The PSU sits on the bottom which offers better space management and overall cooling performance. On the front side you can find one USB 3.0 port, two USB 2.0 ports and audio ports. 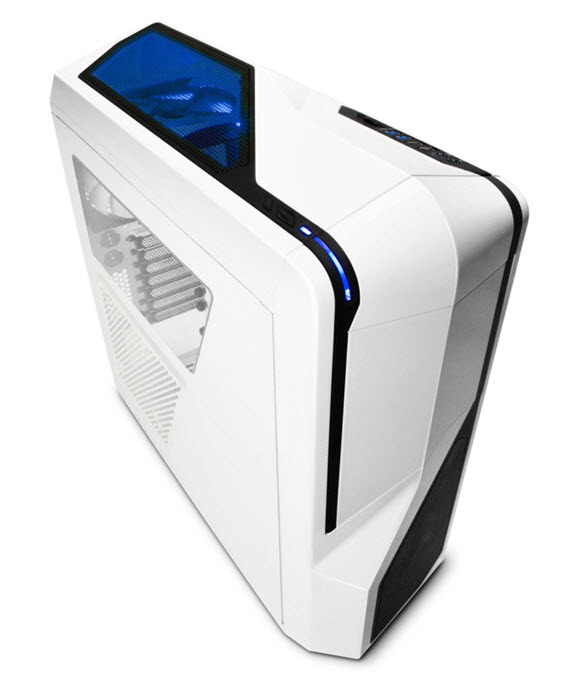 Other features of this gaming case include dust filters, tool free HDD installation and a transparent side panel. Overall a great looking and roomier mid-tower gaming case from a well known brand. 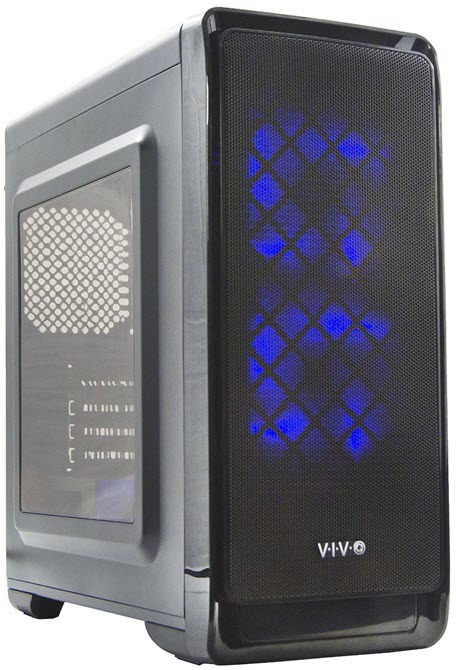 Vivo is smaller brand and is not known by many people, but here we have the cheapest mid-tower case for gaming which is VIVO Micro-ATX “SMART” Mid Tower Gaming PC Case. This case may not have the good build quality compared to the brands like Corsair and Thermaltake but it is pretty decent case for the price. Apart from mediocre build quality the other disadvantages of this case is that it does not have 5.25 inch drive bay which means you cannot put your DVD or optical drive in this case. Also this mid-tower case support up to micro-ATX sized motherboards only. On the front you will get one USB 3.0 port, two USB 2.0 ports and audio ports. Now coming to the good points, the case offers good storage space and has ample room for your components and up to x3 water cooling radiators (x2 240mm and x1 120mm). For cooling it comes with two 120mm Blue LED fans at front and you can optionally install two 120mm fans at top and one 120mm fan at rear. This budget mid-tower case can support graphics card up to 330mm in length and CPU cooler up to 162mm in height. Other features include Filtered power supply ventilation, transparent side panel window and cable management. 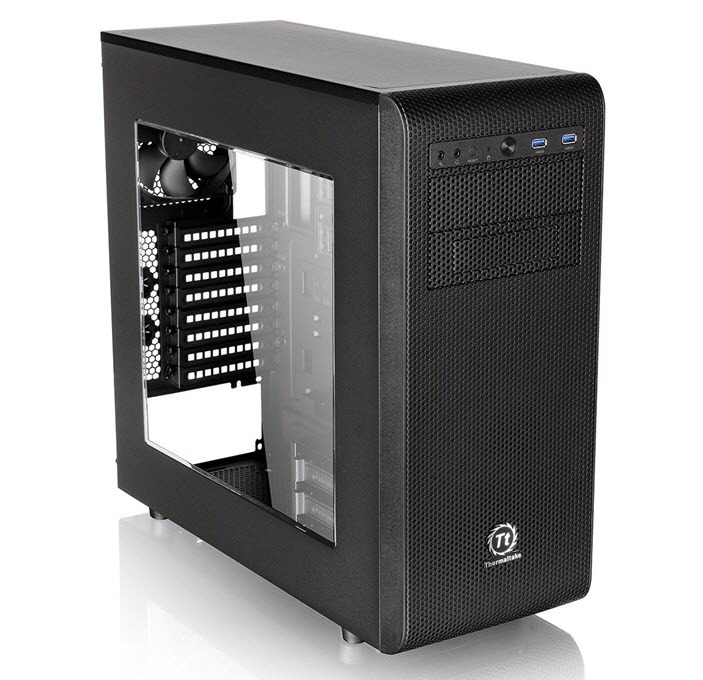 Overall it is a cheap mid-tower gaming case for users who are on very strict budget. 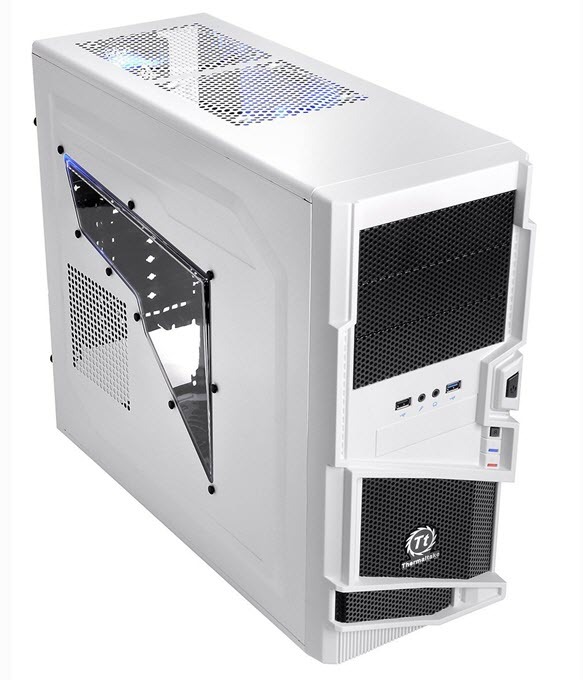 Here we have Thermaltake Commander MS-I Snow Edition Mid-Tower Gaming Case that has got a very unique and sporty design. 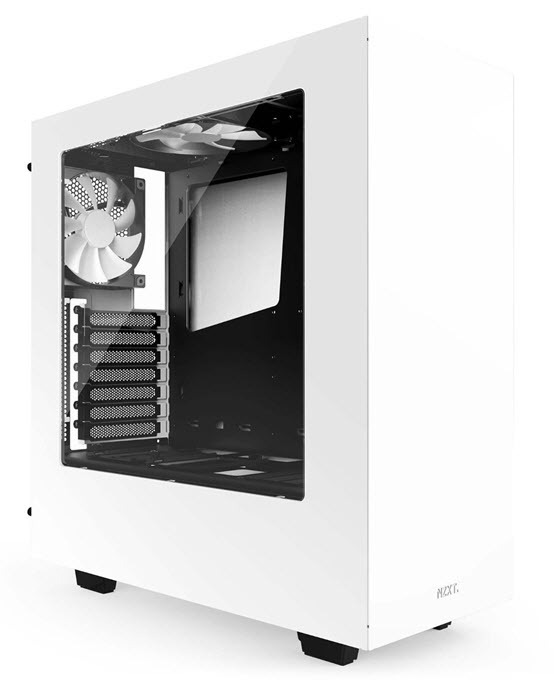 This case is available in white color and has got lots of space inside it and has very good airflow. For cooling it comes with one 120mm fan at front, one 120mm blue LED fan at rear and space for one 120mm fan at top and bottom. The case can support up to 320mm long graphics card and 170mm tall CPU cooler. The side panel has a half transparent window. On front panel you will get one USB 3.0, one USB 2.0 and audio ports. Overall a roomier case from Thermal but nothing much special about it. If you have budget of $50 to $100 then you can get top quality and feature rich mid-tower case for building a powerful mid-range or high-end gaming PC. Here the best mid-tower gaming cases under 100 dollars. Corsair Carbide Series SPEC-02 is the bigger brother of the Corsair Carbide Series SPEC-01 mid-tower gaming case mentioned above. It offers even more space and features than the SPEC-01 case. Corsair Carbide Series SPEC-02 has excellent build quality and it really feels like rock. It offers tons of space for all your components and has excellent ventilation and airflow. For cooling it comes with one 120mm RED LED fan at front and one 120mm at the rear. Additionally you can install two 120mm/140mm fans at front, two 120mm fans at top and one 120mm fan at bottom. Front panel has two USB 3.0 ports and audio ports. This is a fairly big case and it can accommodate up to 426mm long graphics card and CPU coolers up to 157mm in height. You can also install CM Hyper Evo 212 CPU cooler in this case. Other features of this mid-tower gaming case include dust filters, huge transparent window panel and tool free drive installation. Highly Recommended by me. NZXT S340 is a very elegant and simple looking mid-tower case from NZXT. It may not look appealing to some gamers but it is a very spacious case and has got great build quality because of 90% steel construction. It comes with space for two 120mm/140mm fans on front, one 120mm/140mm fan at top (120mm fan included) and one 120mm fan at rear (included). On the front panel you will get two high-speed USB 3.0 ports and audio ports. One disadvantage of this case is that it does not come with 5.25” bay for optical drives. This case can fit 334mm long graphics card, 161mm tall CPU cooler and 280mm Radiator. Even with this much space this case is pretty compact compared to other mid-tower cases. Other features include a transparent side panel window, dust filters and cable management. So if you are looking for a solid mid-tower case with clean design then you should get this one. 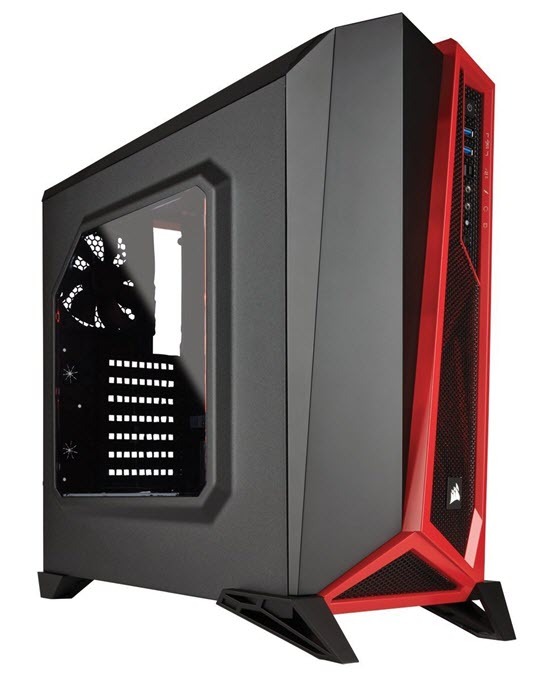 Corsair Carbide Series 275R is a compact mid-tower gaming case with tempered glass side panel. This case has clean design and looks very elegant. For cooling, it comes with one 120mm fan at front and one 120mm fan at rear, but it offers more fan mounting locations at front and top for increasing airflow. On the front top panel, you will find two USB 3.0 ports and audio ports. This compact mid-tower can support up to 370mm long graphics card, 170 tall CPU coolers and 360mm radiators for liquid cooling unit. Other features include tool free drive installation and cable routing. So, if you are looking for a beautiful compact mid-tower case with clean and minimalist design with solid construction then you should definitely get this one. It is available in black and white color, and I personally prefer white one because it looks very classy in it. Thermaltake Versa N24 is a great looking mid-tower gaming case having futuristic design. This gaming case looks like a robot or an alien creature from outer space. The build quality of this case is good and it also offers decent amount of space for components and has pretty good ventilation. For cooling you can install two 120mm/140mm fans on the front, two 120mm fans on top and one 120mm fan at the rear. On the front top panel you will find one USB 3.0 port, two USB 2.0 ports and audio ports. 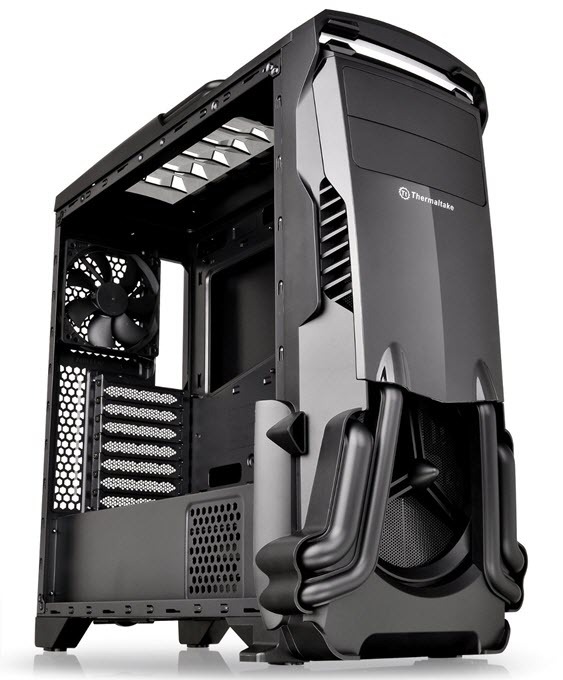 This mid-tower case can support high-end graphics card up to 415mm in length, CPU cooler up to 155mm tall and 240mm Radiator for liquid cooling unit. Due to its slimmer size it cannot fit in tall CPU coolers like Cooler Master Hyper 212 Evo. Other features include a transparent side panel, tool less drives installation, dust filters for all intake ventilation holes and cable management. So if you want a super stylish case with strong build quality then you must keep this in your list. Corsair Carbide Series SPEC-ALPHA is a very stylish, fancy and beautiful mid-tower gaming case. It has got an asymmetrical design and looks way different than the other cases. The case is also very practical offers decent amount of space and good overall ventilation and airflow. For cooling it comes with two 120mm Red LED fans at front and one 120mm fan at rear which can be controlled using a three speed fan controller switch located on the front panel. You can also add two 120mm fans on the top panel if you need more airflow or cooling. The downside of this case is that it lacks 5.25-inch bay for DVD or optical drive installation. On the front panel you have two USB 3.0 ports, audio ports and fan controller switch. This sharp looking gaming case can fit in 380mm long graphics card, 156mm tall cooler and 240mm Radiator for Water Cooling. Other features include transparent side panel, dust filters and cable routing. Overall it is beautiful looking case with a unique design. This is unarguably one of the best looking gaming cases that has a futuristic and modern design. The case really looks cool and will turn heads for sure. Apart from great looks, the case is very practical and comes with plenty of room and good ventilation. For cooling it comes with one 120mm fan (front), one 140mm Blue LED fan at top and one 120mm fan (pivot). The case has points for installing up to 8 fans all around the case. This mid-tower case can support 305mm long graphics card and up to 240mm dual radiator water cooling solutions. It also has enough space to accommodate tallest of CPU Coolers including Cooler Master Hyper 212 Evo. On the front top panel it includes two USB 3.0 ports, two USB 2.0 ports, audio ports and Single Channel 30W Fan Controller. Other features include dust filters, screw less drive installation and cable management. Overall a stylish, sturdy and feature rich mid-tower case for a mid-range gaming build. Apevia may not be a big brand but it does offer some very good budget computer cases. Apevia X-SNIPER2-GN is one of the cheapest mid-tower cases under 100 dollars segments. It is a fairly big case and has good ventilation. For cooling it comes with one 120mm Green LED fan at front and optionally you can install up to 8 fans on all its sides. This mid-tower gaming case can support up to 330mm long graphics card and up to 240mm radiator. Other feature include tool less drive installation and a large transparent windowed side panel. The case does not come with dust filters which makes it prone to dust getting inside it and you have to clean it more often. 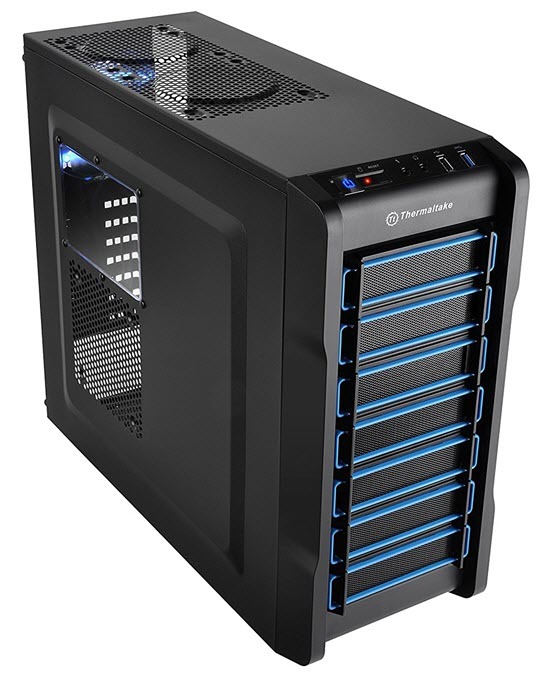 Thermaltake Core V31 is a elegant looking mid-tower gaming case having a simple design. This is a pretty spacious case and has solid build quality. For cooling it supports two 120mm/140mm fans at front, three 120mm/140mm fans at top, one 120mm fan at bottom and one 120mm fan at rear. On the front panel there are two USB 3.0 ports and audio ports. Thermaltake Core V31 can support graphics card up to 278mm long graphics card, 420mm (without HDD rack), 155mm tall CPU Cooler and up to 360mm Radiator for custom Liquid cooling unit. The case features a huge transparent side window and comes with features such as tool free drive installation, dust filters and cable management. Zalman Z11 Plus HF1 is a stylish looking and high performance mid-tower gaming case. The case is wider at the bottom half way which gives it a very unique and sporty look. This mid-tower case is pretty spacious and has good airflow and ventilation. It supports up to 7 system fans comes with one 120mm Red LED fan at front, one 120mm Red LED fan on top, one 120mm Red LED fan at rear and two 80mnm fans on side. On the front top panel you will find two USB 3.0 ports, two USB 2.0 ports, audio ports and power button. Zalman Z11 Plus HF1 mid-tower case can support up to 290mm long graphics card, 159mm tall CPU coolers. Other features include dust filters, tool free HDD installation with anti-vibration rubber, cable management, Side Acryl window and liquid cooling support. Overall a beautiful gaming case that looks cool with Red LED lights. 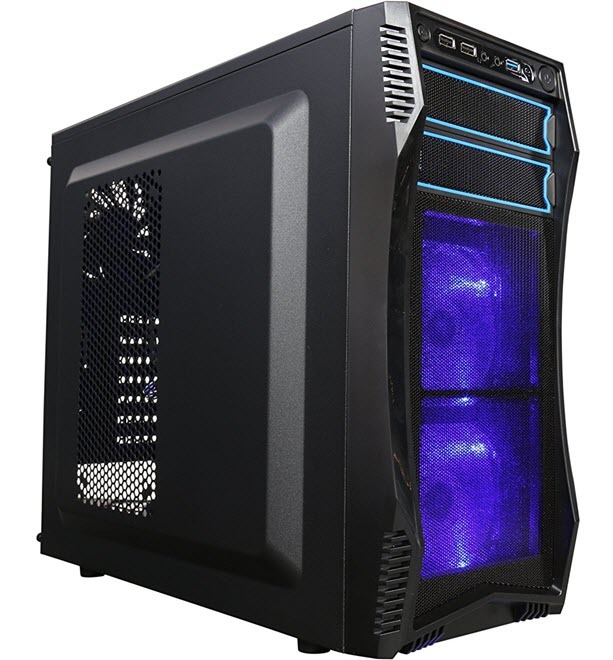 This is a high quality mid-tower case from Thermaltake that is quite spacious and offers great ventilation. Thermaltake CHASER A21 Mid Tower Case is solidly built, has E-Sport Gaming Design and comes one 120mm fan at front and one 120mm Blue LED fan at rear. If you want more cooling then you can also install 120mm fan on top, side and at bottom. The front panel has got two USB 3.0 ports and audio ports. The case supports graphics card up to 320mm in length, CPU Cooler up to 155mm in height and up to 240mm Radiator for water cooling unit. Other features include dust filters, tool less ODD and HDD installation and cable management. 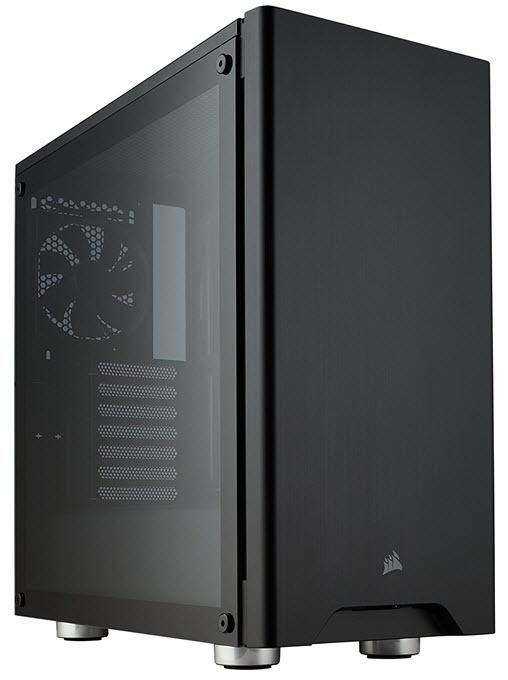 Corsair Graphite Series 230T is simple looking but a robust and high performance mid-tower case. 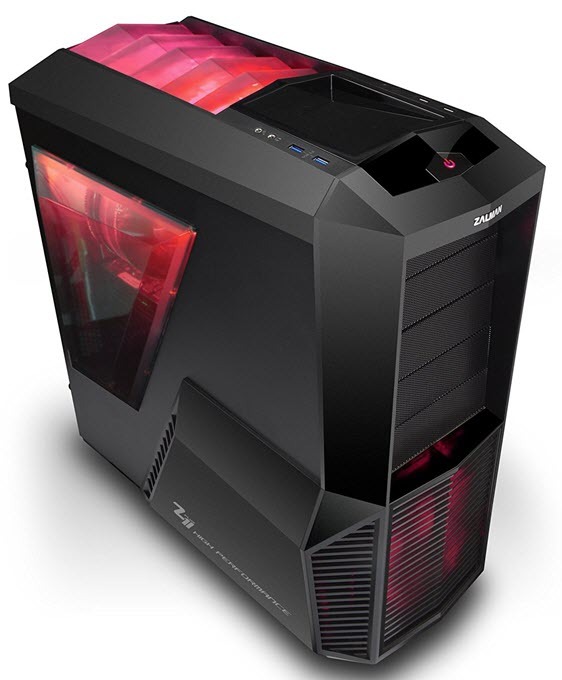 It is a spacious case and for cooling it comes with two 120mm Red LED fans at front and one 120mm fan at the rear. The front panel consists of two USB 3.0 ports and audio ports. The case is good enough space to accommodate 360mm graphics card, 165mm tall CPU Cooler and up to 280mm Radiator. Other features include dust filters, tool free SSD, HDD, and ODD installation and cable routing and management. So if you are looking for a good mid-tower case for your building your gaming PC then you cannot find anything better than the ones listed here. All these mid-tower cases are well built, spacious and come with all the latest features and ports. If you have any queries or doubts then feel free to ask me by leaving a comment below.